Kutlug Ataman is an artist specializing in video who seems to leap in stature with every new project. Commissioned by London-based organization Artangel, Ataman spent two years developing Küba, an intriguing sociological portrait that won the Carnegie Prize on its debut in Pittsburgh last year; the multiple DVD installation began its exhibition tour proper in London, at a former postal sorting office in the center of the city. 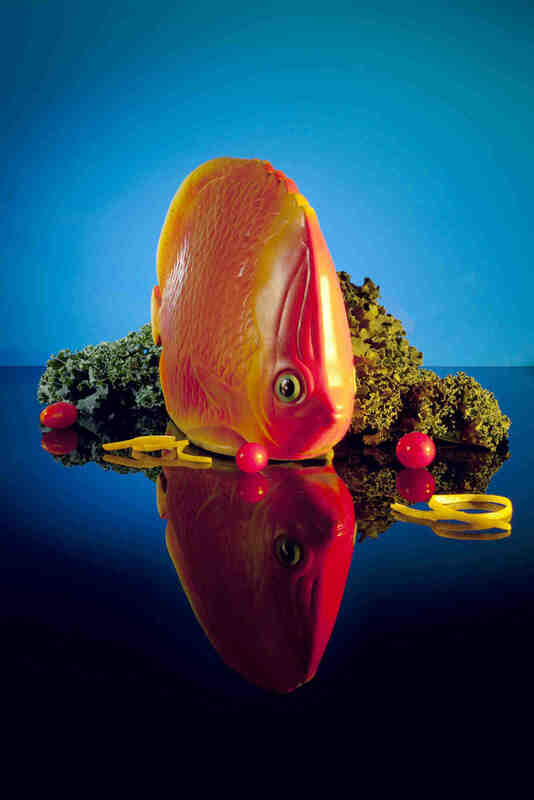 Ataman has already exhibited widely in London, including a solo exhibition at the Serpentine Gallery, but this was his largest project to date, and its opening attracted much media fanfare. Küba is the name adopted by a particular area of Istanbul that was originally established as a community of safe houses in the 1960s. Over the years it has become an illegal and sprawling mass of dwellings, inhabited by a predominantly Kurdish population. Ataman developed relationships with a large number of residents, recording them speaking about their lives, and forty of their accounts appear in the installation. The work attempts to scrutinize the character of the neighborhood, to enter its psyche in order to understand the nature of a place that is perceived as an aberration. 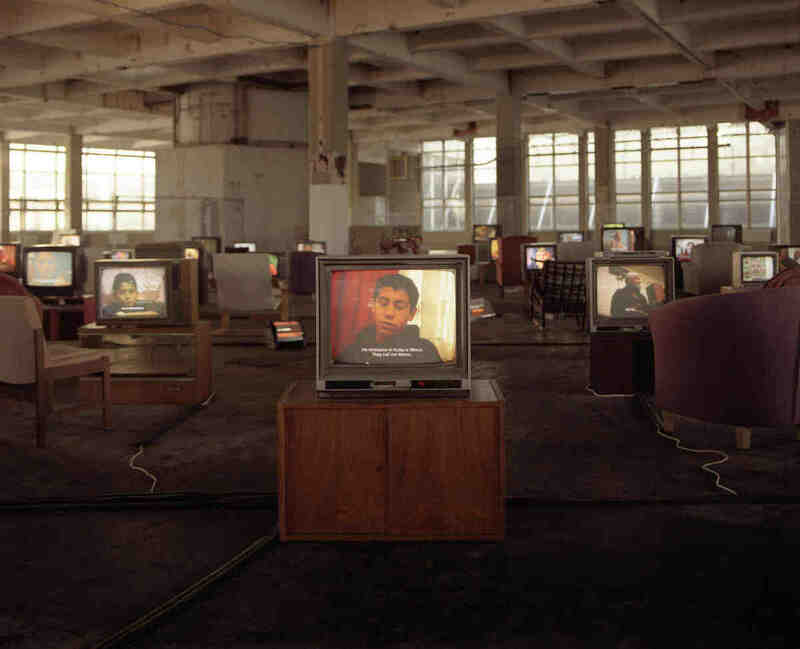 The installation consists of the accounts of these individuals played on old television sets that are positioned directly in front of secondhand sofas, as if a domestic setting. Utilizing the now familiar talkingheads technique, the dialogue is subtitled in English, with the sound of the voices deliberately allowed to coalesce into an indecipherable whole. Many candidly express their often alarming hardship with occasional and sporadic moments of poetry. Fevzi, a despondent young man who somehow ended up in Küba, tells of his life in the armed forces, before casually breaking into elegy — “The children gathered roses for you / We planted orchards in our hearts for you / Let the rose gardens surround you…” We discern Ataman’s captivated sensitivity as the individuals reveal themselves and their histories. Most visitors spent an uncommonly lengthy period in the exhibition, engrossed by the words and getting to know the participants as individuals. Though the ambition and monumental form of Ataman’s installation is impressive, something about its excessive nature bothered me. And then I realized that Küba’s setting — a stripped-out former sorting office with a vast Palais de Tokyo-style “building-site chic” — rather than the installation itself, appeared extravagant. The mediated experience, specific to the installation’s London showing, has been truly dramatized by Artangel: Visitors enter the building through a makeshift wooden tunnel, go up flights of stairs to a derelict floor, through the Küba café, and up additional flights of stairs until they reach the installation itself. Along the way, mumblings from the installation can be heard echoing around the building, furthering any apprehension visitors have about the work they are soon to see. Ultimately, the experience may leave one feeling ambivalent about the content of the work — which in fact is the prime intention of some socially-engaged practices (in certain works by Santiago Sierra, for example). Increasingly, gallery-goers are encountering contemporary art that deals with the ethics/imminence/politics paradigm — particular art that is designed to form challenging confrontations through phenomenological and visual confrontation with antagonistic subject matter. In the immediacy of the experience provided by a work like Küba, questions arise: Is this conceived to impinge on my conscience? Is it an inauthentic representation? Is it exploitative even? The most pertinent feature of Küba is that it engages its audience in a thoroughly thought-provoking encounter. But the issue remains: In the midst of this problematizing-impulse, does this remove an artist’s accountability for the subject, in spite of its criticality?